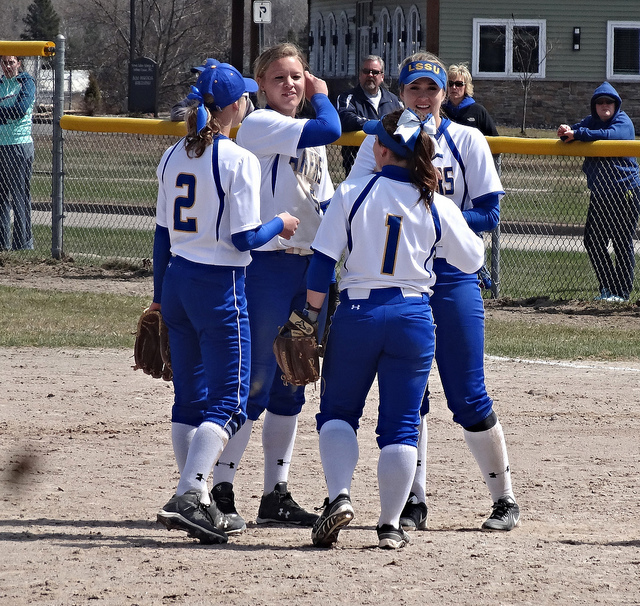 Locey Field-Sault Ste Marie, MI: Going into the weekend, we knew this would probably be our last chance to see the Laker softball team play. What I didn’t expect, is the school making the decision to cancel the softball program entirely after this season, and that is as of last weekend. I do feel that we were fortunate, however, to witness the final games of the program. Game one was a tough loss for the Lakers. Down four zip, the girls stormed back to tie the game in the sixth. 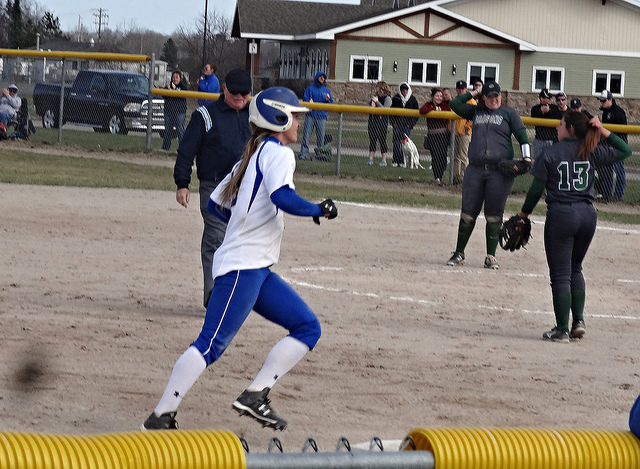 The rally started when Soo native Jenna Holt hit a double to the wall, scoring Lindsey Pajot and Carly Banchiu. Alyssa Boucher then scored on a wild pitch, cutting the lead to one. Kylie Durre then tied the game by surviving a tough pickle situation. Boucher took the circle at the top of seven, but game up the game-winning home run. FINAL Game 1: LSSU 4, TU 5. 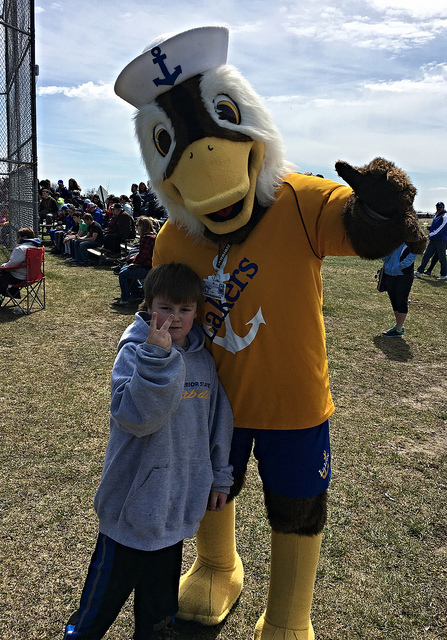 Between games, the Laker mascot Seamore the Seaduck was on hand to entertain the crowd. Of course, Brian had to get one last photo with him. On to game number two, the final game in the history of the LSSU softball program. With the Dragons up 2-0, catcher Katie Martin hit an RBI single to cut the lead to one. 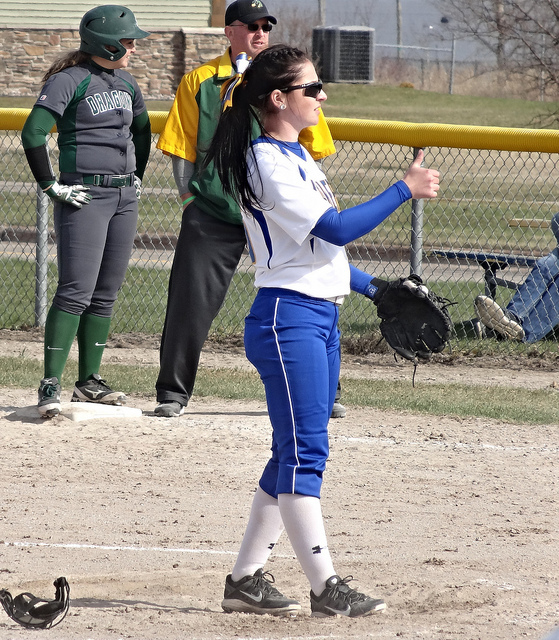 That would be all the Lakers got for a few innings, though, as Tiffin racked up a few more. 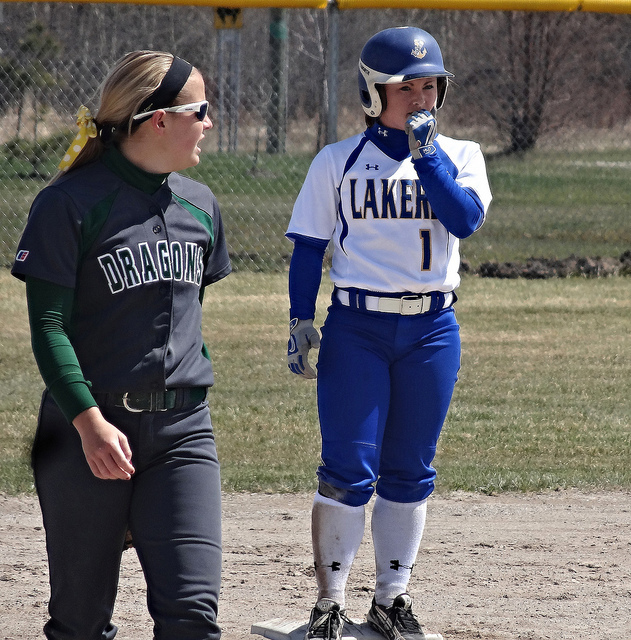 Kylie Durre hit a dinger in the sixth, and Banchiu added an RBI single in the seventh, but it was too little, too late, and that’s all she wrote for Laker softball. FINAL Game 2: LSSU 3, TU 7.